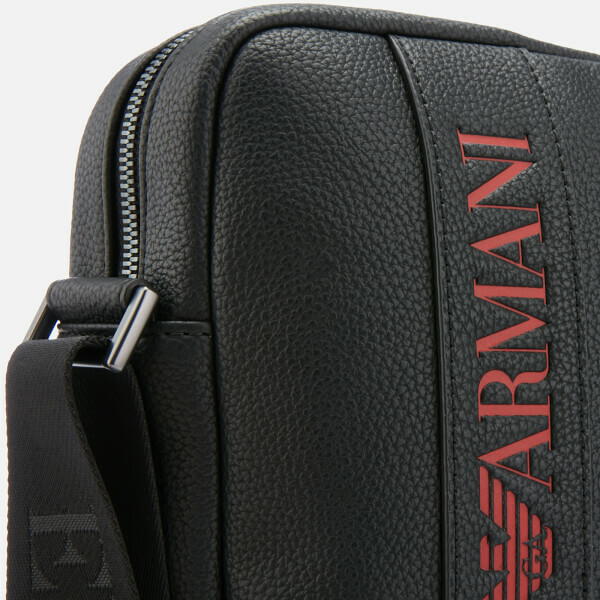 Emporio Armani cross body bag in grained faux leather with a contrasting logo debossed insert. 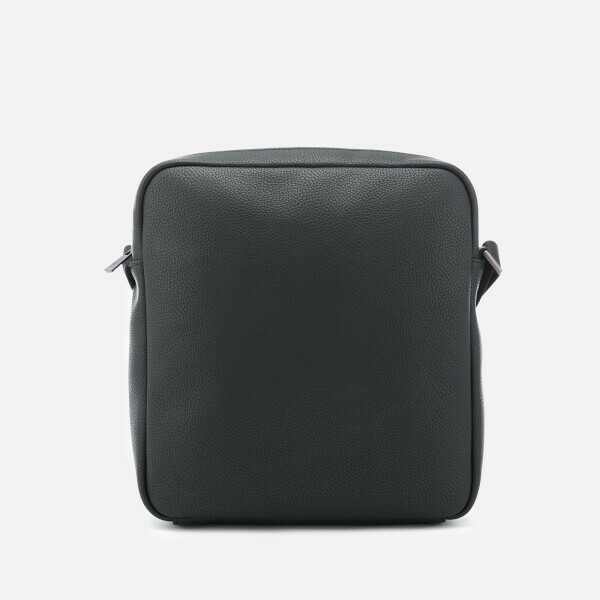 The versatile bag is the perfect size for transporting small daily essentials. An adjustable webbing strap with subtle branding enable the bag to be worn over the shoulder or crossbody style. 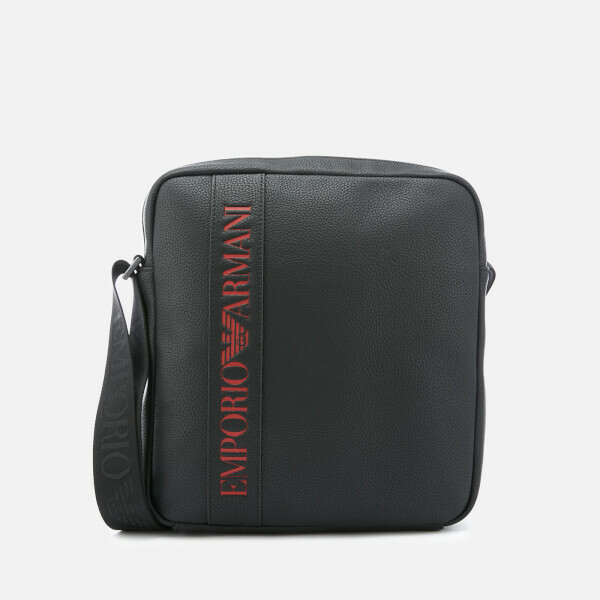 Secured with a zip around fastening, the inside of the bag is lined with logo jacquard fabric and features a zip pocket and two slip pockets. 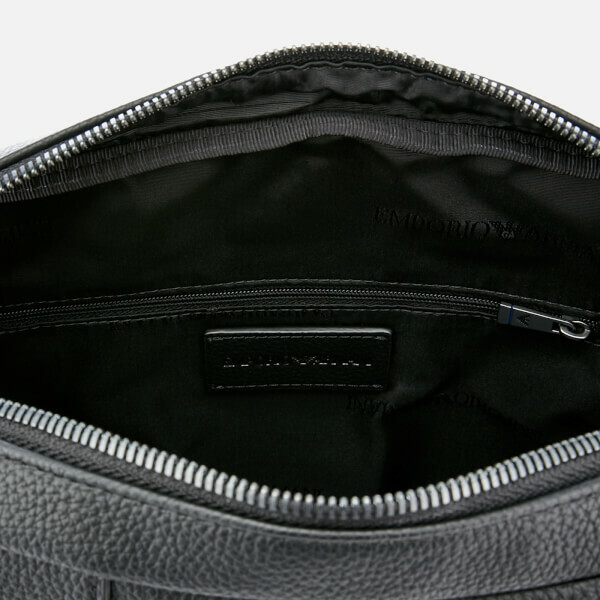 Gunmetal hardware and a logo-engraved zip pull complete the contemporary design. Main Fabric/Lining: Polyester. External Coating: Polyurethane. Dimensions: H: 28cm x W: 26cm x D: 7cm. Strap Drop: 67cm.